BAY CITY – Local photographer Charlie Wooldridge has spent countless hours roaming the backwoods and shorelines of Tillamook County shooting fine art photos along the way. This spring, Wooldridge plans to train his artist’s eye on the landscapes of Ireland while accompanying a friend and fellow photographer. “We’re just going to travel the countryside, travel the roads,” said Wooldridge, who lives in Bay City. From May 24 to June 8, he will join former Tillamook County resident, now Oregon Symphony vice president for communications, marketing and sales, Jim Fullan photographing the area surrounding the Irish town of Kenmare in County Kerry. To help him cover expenses, the Bay City Arts Center, of which Wooldridge is a founding and current board member, will serve as the setting of a fundraising event on his behalf on Sunday, April 29. That day, from 11 a.m. until 7 p.m., a variety of Wooldridge’s landscapes – many of them local – will be for sale during a free art show. At 4 p.m. the center will host a dinner featuring Irish pub fare for $20 per person. “It’s really savory, good food,” he said. 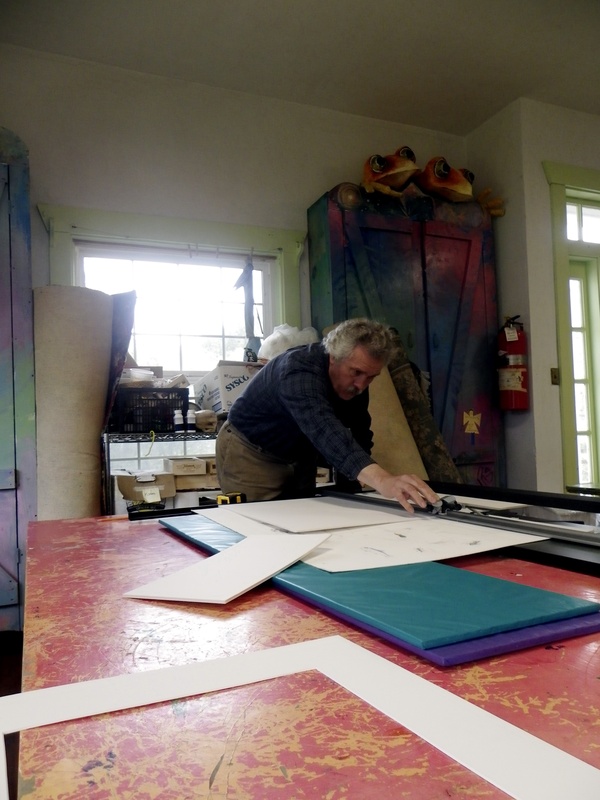 Wooldridge also teaches an art class at Neah-Kah-Nie Middle School and has taught or assisted in teaching a number of BCAC classes for all ages since the art center’s formation in 2000. Fullan, a founding BCAC Board member himself, owns property in Kenmare. A photographer himself, he invited Wooldridge to join him on the photographic journey of his second, albeit distant home. He plans to use his Canon PowerShot S90 and a lightweight traveling tripod during the trip. During the April 29 fundraiser, Wooldridge will auction a future print from his Ireland trip. Those planning to purchase tickets for dinner can RSVP by calling the arts center at 503-377-9620. Posted by rockyintertidalcocreative on April 26, 2012 in Uncategorized.